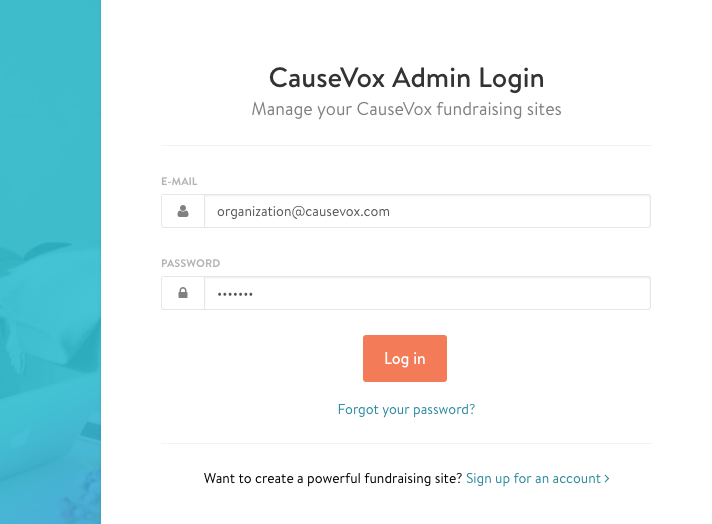 Step 1: Login to your CauseVox Admin account here. 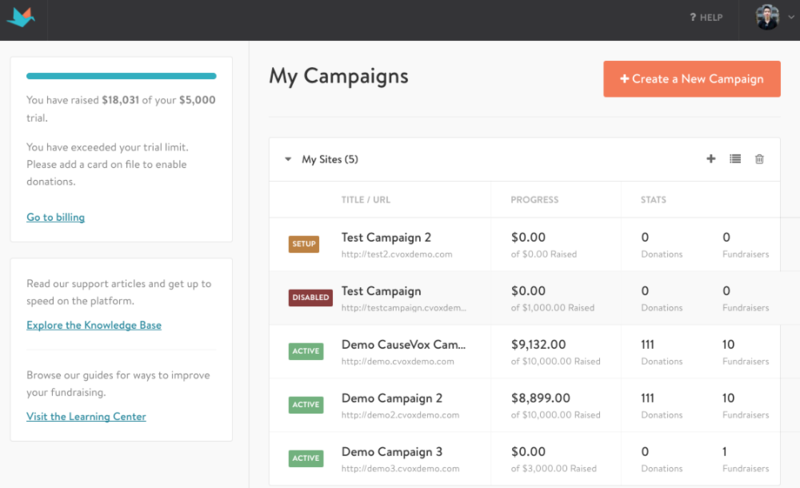 Step 2: Click on your campaign site in the campaign site listing page. 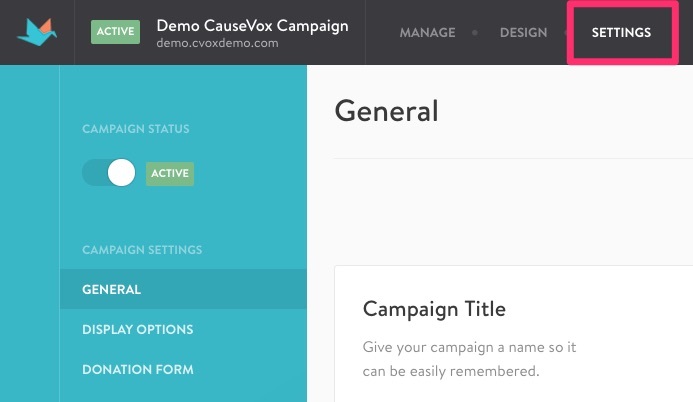 Step 3: Click on the Settings in the top menu bar. 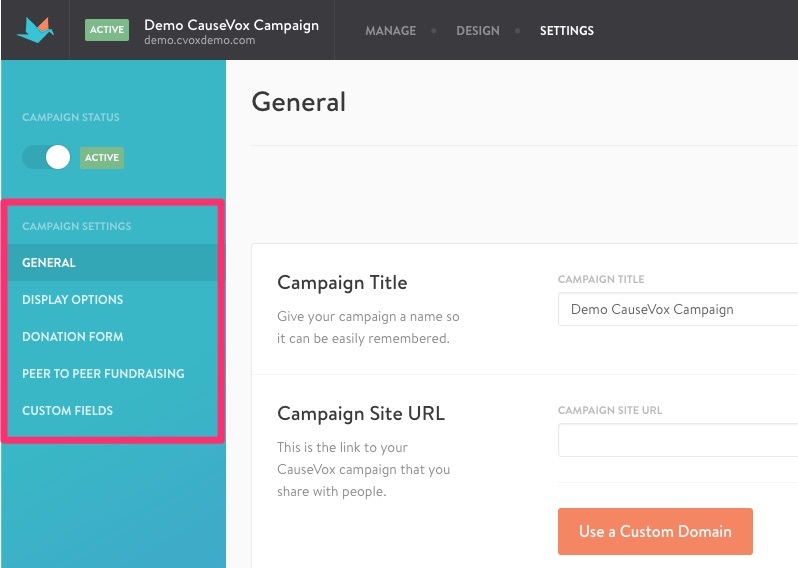 Step 4: In the Site Settings, you can change the details of your CauseVox campaign site by clicking on the menu bar on the left.